This lesson puts everything in previous lessons together, in order to crystallize what you have learned. 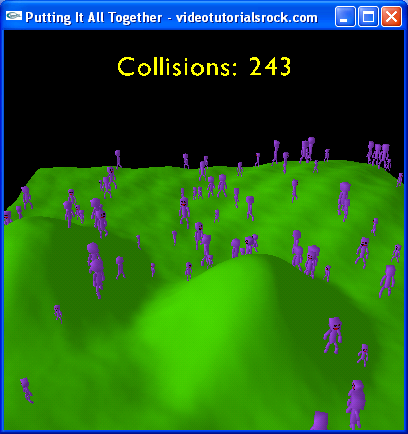 This lesson is in "Part 2: Topics in 3D Programming". After this is "Part 3: Special Effects". Skipping around? That's okay. Just make sure you know the material from "Lesson 7: Terrain", "Lesson 8: Drawing Text", "Lesson 9: Animation", and "Lesson 10: Collision Detection".